It's yet another work week, but we can always take heart in the simple joys of life; like picking up great deals right from your seat. This week, we've got deals on a pair of smart speakers, a wireless charging pad for your Qi devices, and a rugged photography bag to keep all your gear safe. So why wait? Jump in now! If you've been curious about smart assistants, then the Echo Dot (2nd generation) here is a pretty good way to start. Simply put it on your home Wi-Fi network, connect it to a set of speakers or smart home devices and you're good to go. It even comes with its own built-in speaker so it can act as an alarm clock or as a handy kitchen assistant. 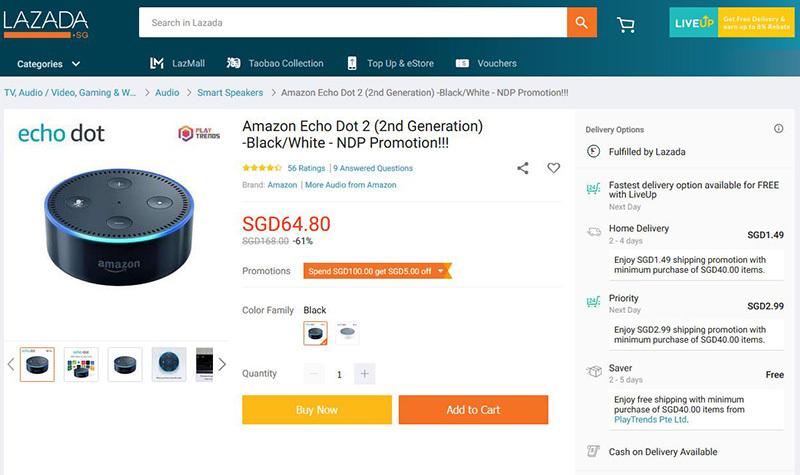 Grab it from Lazada for just S$64.80 now, a savings of some 61% from the usual price of S$168.00! 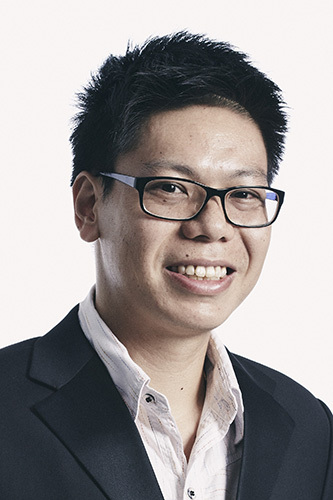 Yes, Qi wireless charging is good as it means less wires, but what happens when you have multiple Qi-enabled devices? Doesn't quite make sense to have one charger per device does it? That's where the iPM 3-in-1 charging pad comes in. Charge two smart phones and an Apple Watch simultaneously! 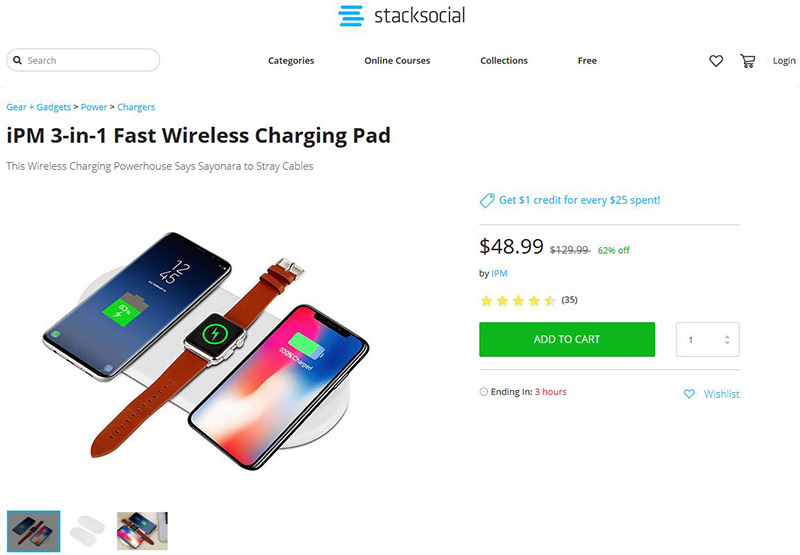 This is going for just US$48.99 now at StackSocial, 62% off the usual price of US$129.99. Go grab it now! Photographers, this last one is for you. 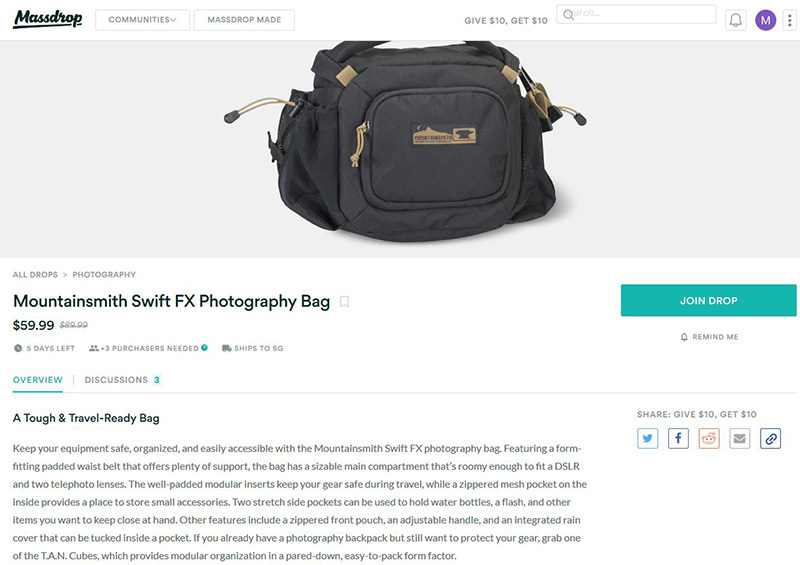 Massdrop has an offer on the Mountainsmith Swift FX photography bag, so you can get it for US$59.99 instead of the usual of US$89.99, a savings of US$30.00! Not too bad for this sling bag made of 610d Cordura HP with 5000mm PU coating for better protection against the elements. Head here to buy it now!